Who owns the intellectual property related to the business? It is crucial that a new business arranges for proper ownership of its related intellectual property. Usually the owner(s)/business partners will assign their ownership rights to their business-related intellectual property to the company. This is often achieved in what is known as a Contribution Agreement (because the owner(s)/business partners are contributing their intellectual property to the company). It is extremely important to do this because the company will not have value if it does not have adequate rights to the intellectual property behind the business. For example, if the business is successful and the company is looking to be sold but the main intellectual property is owned by a business partner who decides to keep such intellectual for him or herself, then the company will be worthless. Potential buyers will only be interested in the company if its ability to use the intellectual property is guaranteed. limited liability companies, limited partnerships, and corporations. However, forming the entity alone will not suffice in protecting a business owner from risk. The business must also stay up to date with its corporate formalities (e.g., registering and staying current with its respective Secretary of State, holding required meetings, and keeping required records) and it is imperative that the business owner refrain from commingling personal funds with business funds. If a business owner fails to maintain adequate corporate form, then potential creditors may be able to \"pierce the corporate veil.\" The term \"piercing the corporate veil\" means that the business entity is disregarded and the owner(s) may be personally liable for its debts.\n\nWhat is the best way a small business can maximize its tax deductions? (Optional)\n\n\nWhat specifically are small business owners most confused about when you first meet with them?\nSometimes I find that small business owners are confused about what type of entity they should form and how to keep such entity in line with proper corporate governance.\n\nHow can quality legal services help a small business grow?\nQuality legal services are the foundation for any business. If the foundation is shaky, it will not support the structure.\n\nHow can quality legal services help small businesses save money?\nBusiness will pay more than double what it would have cost to set up proper form in the first place if they have to go back and clean up their corporate structure years down the line. Savvy investors will only put their money into companies that have solid legal frameworks.\n\nHow can small businesses maximize the value of their legal team\u2019s services?\nSmall business can maximize the value of their legal team's services by being involved in the process and communicating their goals clearly.\n\nShould business partners have the same amount of equity in a company? Why or why not?\nIt is completely circumstantial whether or not business partners should have equal equity. Usually the amount of equity each partner is allocated will reflect the amount of cash or other capital that each partner contributes to the business. Sweat equity can also be taken into account when determining the equity ratios.\n\nWhat are the top three things a small business owner should be aware of when purchasing an existing business?\nDue diligence reviewing customer lists, sale records, advertising materials, and employee contracts\n\nDo you have any other essential legal guidance for startups that you haven't already included in this survey?\nEvery startup is different and will need a unique legal approach to meet its needs."}" style="font-size: 15.6px; font-family: Arial;">What is the best way a small business owner can protect personal wealth and assets from business risks? limited partnerships, and corporations. However, forming the entity alone will not suffice in protecting a business owner from risk. The business must also stay up to date with its corporate formalities (e.g., registering and staying current with its respective Secretary of State, holding required meetings, and keeping required records) and it is imperative that the business owner refrain from commingling personal funds with business funds. If a business owner fails to maintain adequate corporate form, then potential creditors may be able to \"pierce the corporate veil.\" The term \"piercing the corporate veil\" means that the business entity is disregarded and the owner(s) may be personally liable for its debts.\n\nWhat is the best way a small business can maximize its tax deductions? (Optional)\n\n\nWhat specifically are small business owners most confused about when you first meet with them?\nSometimes I find that small business owners are confused about what type of entity they should form and how to keep such entity in line with proper corporate governance.\n\nHow can quality legal services help a small business grow?\nQuality legal services are the foundation for any business. If the foundation is shaky, it will not support the structure.\n\nHow can quality legal services help small businesses save money?\nBusiness will pay more than double what it would have cost to set up proper form in the first place if they have to go back and clean up their corporate structure years down the line. Savvy investors will only put their money into companies that have solid legal frameworks.\n\nHow can small businesses maximize the value of their legal team\u2019s services?\nSmall business can maximize the value of their legal team's services by being involved in the process and communicating their goals clearly.\n\nShould business partners have the same amount of equity in a company? Why or why not?\nIt is completely circumstantial whether or not business partners should have equal equity. Usually the amount of equity each partner is allocated will reflect the amount of cash or other capital that each partner contributes to the business. Sweat equity can also be taken into account when determining the equity ratios.\n\nWhat are the top three things a small business owner should be aware of when purchasing an existing business?\nDue diligence reviewing customer lists, sale records, advertising materials, and employee contracts\n\nDo you have any other essential legal guidance for startups that you haven't already included in this survey?\nEvery startup is different and will need a unique legal approach to meet its needs."}" style="font-size: 15.6px; font-family: Arial;">The best way a small business owner can protect his or her personal wealth and assets from business risks is to form the proper entity for the business and maintain the necessary corporate governance. Many types of entities will achieve the goal of providing liability protection. Common examples of such entities are limited liability companies, limited partnerships, and corporations. However, forming the entity alone will not suffice in protecting a business owner from risk. The business must also stay up to date with its corporate formalities (e.g., registering and staying current with its respective Secretary of State, holding required meetings, and keeping required records) and it is imperative that the business owner refrain from commingling personal funds with business funds. If a business owner fails to maintain adequate corporate form, then potential creditors may be able to "pierce the corporate veil." The term "piercing the corporate veil" means that the business entity is disregarded and the owner(s) may be personally liable for its debts. Sometimes I find that small business owners are confused about what type of entity they should form and how to keep such entity in line with proper corporate governance. Quality legal services are the foundation for any business. If the foundation is shaky, it will not support the structure. Business will pay more than double what it would have cost to set up proper form in the first place if they have to go back and clean up their corporate structure years down the line. Savvy investors will only put their money into companies that have solid legal frameworks. Small business can maximize the value of their legal team's services by being involved in the process and communicating their goals clearly. It is completely circumstantial whether or not business partners should have equal equity. Usually the amount of equity each partner is allocated will reflect the amount of cash or other capital that each partner contributes to the business. Sweat equity can also be taken into account when determining the equity ratios. Every startup is different and will need a unique legal approach to meet its needs. Lauren Roberts focuses her practice on corporate transactions. She has experience representing a wide variety of clients in complex transactions including multi-million dollar mergers and acquisitions and venture capital financings. In connection with her transactional experience, Ms. Roberts has conducted extensive due diligence reviews. Ms. Roberts also has years of experience with entity formation and general corporate and intellectual property matters such as trademarks and licensing. 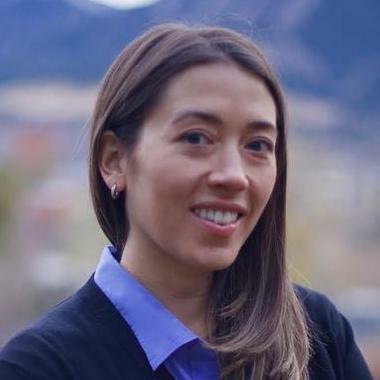 She is familiar with Colorado, California, and Delaware corporate law and entity structures.